The team behind Horrible Histories have created a new sitcom, Ghosts, for BBC One, about the various deceased inhabitants of a country house. Here some of them - Mathew Baynton, Simon Farnaby, Jim Howick and Laurence Rickard speak about creating the series. Rickard: And then we rejected it, because all first ideas are terrible, so we thought there must be something else. Baynton: We all got really excited about the idea of us playing loads of ghosts. But when it came to writing the stories we realised they don’t need jobs, they don’t fear death as they’re already dead. It suddenly felt like there was no jeopardy that we could write into it. So we abandoned it and went to work on an alien, sci-fi idea – which is still in progress – but then something clicked and we realised the boredom of eternity and the existential aspects of the ghosts was a unique idea. The stories could be really petty. We realised it was a house-share sitcom – and as soon as you stop thinking about those kind of major drama stakes, you unlock a story that is really domestic and petty. Rickard: All of those house-share sitcoms contain people that are in a situation they are stuck in. Ghosts is the ultimate version of that, they are stuck together for hundreds of years and none of them can leave. Baynton: One of the themes of the show is that it’s all about antagonism. You don’t want just one high status character, you want two or three to clash. Lady Button is also a leader in a way, she’s a guardian of the high-status family line. Howick: And then you have Robin, who is the joker of the pack [and a caveman]. He has been there the longest so it gives him a sort of status over everyone, but then sometimes he just doesn’t care. Baynton: One of the most fun things was discovering a language that’s unique to this show that we could play with. That involved cutting between the perspectives of seeing and hearing the ghosts in the room, and the physical plane in which they don’t exist and you can’t hear them. You can play with that language. 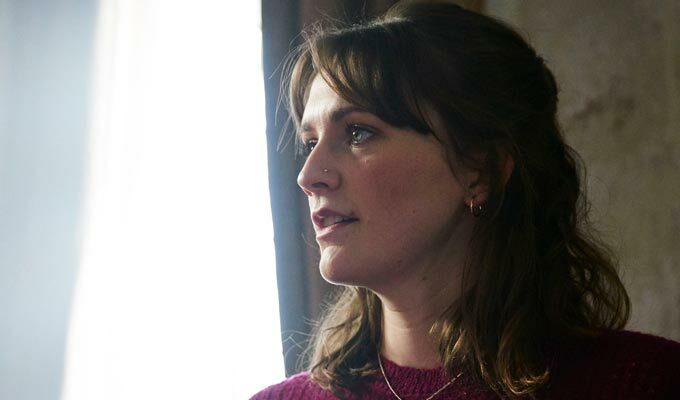 You’d have scenes where Alison [a living person who moves into the house played by Charlotte Ritchie, above] is dealing with having a couple of ghosts behind her and she physically responds to that – and then you see it from the perspective of a living person who can’t see who she’s talking to, she’s just shouted at empty space. She then has to find a way to make herself seem remotely sane and cover those moments and that language begins in episode one. Farnaby: You can invade people’s space if you are a ghost, there’s no reason why you can’t get in somebody’s face. They can’t see it. Baynton: Charlotte’s been incredible. She’s held in her head everything that she’s done when we’re around... and then we all clear off she has to retain everything we’ve done and play it again. Rickard: It’s brilliant. It’s also so weird to watch. She pauses in the middle of sentences and looks at things that aren’t there. 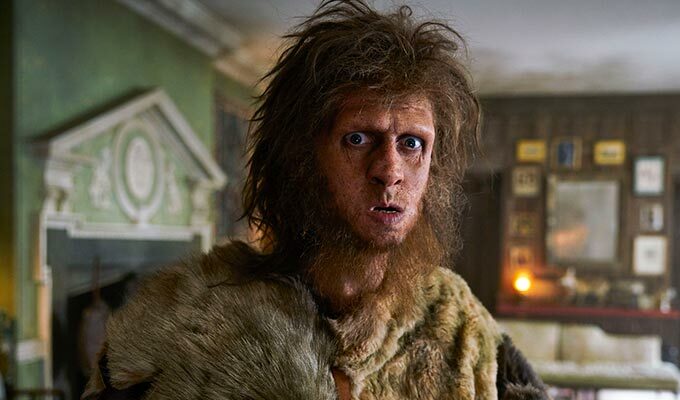 Baynton on whether Ghosts is ‘Horrible Histories for grown-ups’: I don’t think so. To some extent, there is common ground in the sense that there is a comic tone and the characters are from history, but beyond that, it’s not a sketch show, it’s not aiming to educate in any way. Rickard: That’s the thing with Horrible Histories - we were always fighting against the facts in a way. So the things we’ve done since then have always been free of that constraint. Horrible Histories was such a joy. We’re six very different people and we’ve all got the same sense of humour and always made each other laugh. We would get in the car at the end of the day and our faces hurt from laughing and that doesn’t happen on other jobs. We’re very lucky to be in the careers we’re in, but there’s something different about this and the reason we started to develop Yonderland and Bill was we were always terrified that the thing we were doing would be the last chance to work together and we tried to avoid it – so far. Baynton: Ghosts is also, I think, the most grown up thing we’ve done, in the sense that we’ve matured and we find this funny... there’s an edge of darkness to it. There are bits that are a little bit spooky and a little bit scary. We’ve allowed ourselves a little more cheek than that you are restricted to in a pre-watershed slot. The kids who are watching Horrible Histories, at least the first-time round, now they are all grown up - hopefully we’re making something so they can continue to watch us. Rickard: We were talking about the things we loved when we were growing up and often they were things like Blackadder, around before the division between kids’ and grown-up content existed. I watched Blackadder and so did my parents. Sometime in the 1990s comedy became something that adults watched at 10pm and there were children’s shows that children watched. It was a split – and it never really came back together again. I’ve got a vivid image of watching the Life of Brian though the rippled glass of my parents’ 1980s living room door. I wasn’t supposed to be watching it. There’s a little bit of that. Baynton: I’d love to think it’s the sort of show that people will let their kids stay up a bit later for. I’d like for it to feel like it’s a bit of a treat to allow them to watch it. Baynton on characters that didn’t quite make it: There was an idea early on that the wisest ghost in the house would be a six-year-old child because she’s been there for centuries and they’d all find it really creepy going to ask her for advice and for a number of reasons, that’s unpractical. Farnaby: Martha and I played a couple where I had killed her and then killed myself. Then of course, in that scenario you both end up as Ghosts and then you think ‘Great, now I’m stuck with her’ So that went, for obvious reasons. Baynton on being compared to Monty Python (who also had roots in children’s TV): There is a crossover, but our history is different to them, we didn’t come through together through university and that sort of thing. It makes me nervous being compared to them. Rickard: When we sit down and talk about things that make us laugh, that’s one of them, but there’s a thousand other shows, a million other YouTube clips or people you pass in the street and someone who’s got a funny voice, there’s so many influences and that’s one of them. Baynton: The reason it probably keeps coming up is because there aren’t gangs anymore, that era of comedy troops and groups. Since The League of Gentlemen there’s not been many groups in that sense so I think Python was the most famous iteration of that. It’s the fun of seeing the same people in different guises every time you watch a new thing, and we’ve all had that as fans of Python and League. Farnaby on whether they would return to a sketch show: We’ve come to enjoy working on narrative and structure, things that lend themselves to some emotion and poignancy and it’s really hard to get that in a sketch show because it’s all about the laughs. In this we’ve got death and we’ve got bits here and there where you get a bit of emotion.